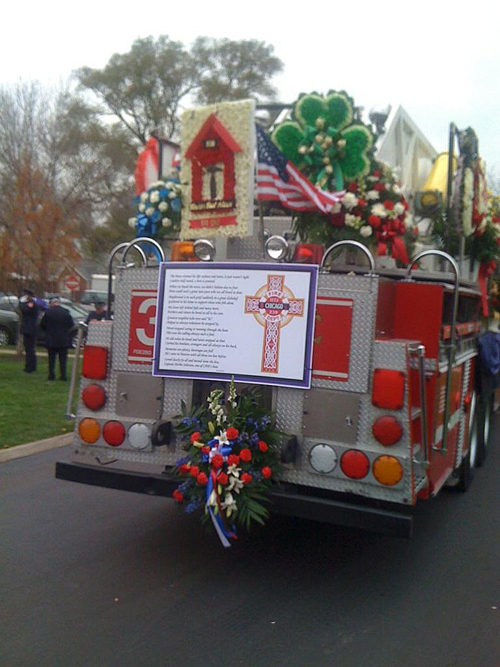 Here are some pictures taken from the funeral. The rigs are near the church. Many departments from all around the state showed up. 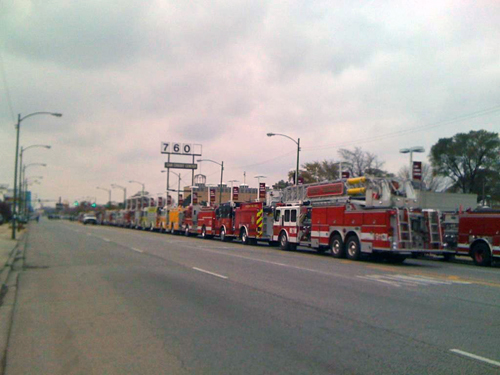 A shot of a many fire trucks. 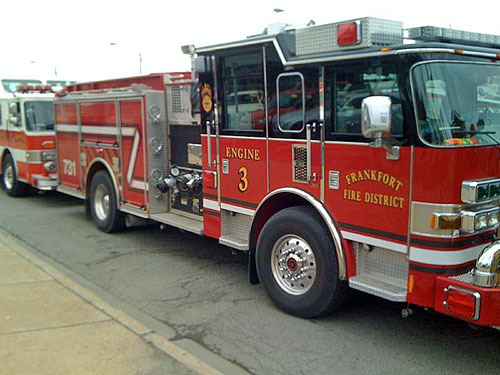 Frankfort Engine 3 was one of the Departments. 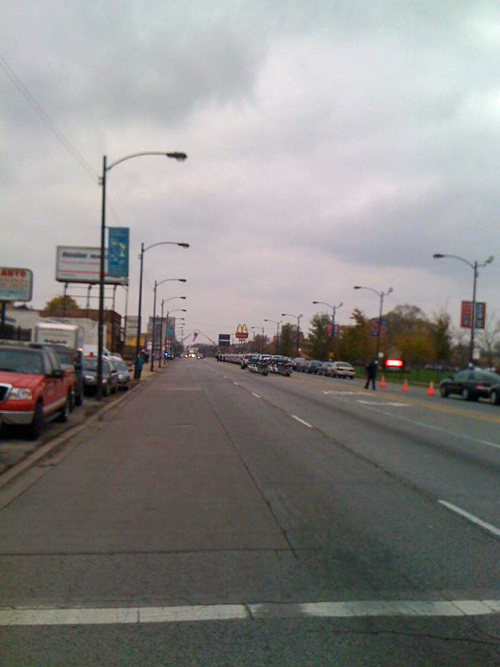 Looking far down Western (I believe). 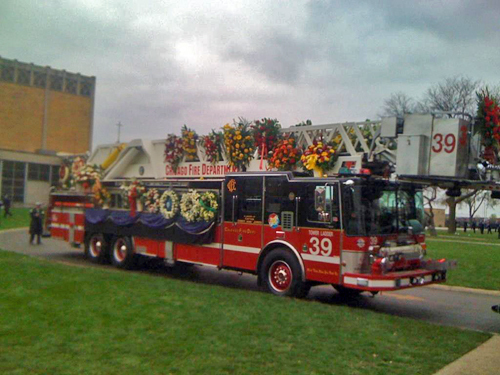 Two CFD Trucks with an American flag hanging. Earlier images were posted HERE. Martin has more photos HERE. 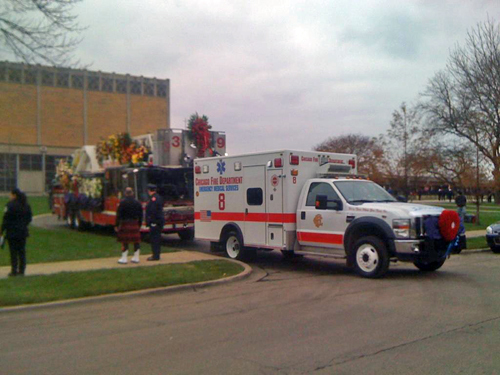 This entry was posted on November 8, 2012, 5:58 PM and is filed under Fire Service News, Reader submission. You can follow any responses to this entry through RSS 2.0. Both comments and pings are currently closed. anybody know where I can get one of his memorial stickers for my lid? hopefully from a source that donates proceeds to his family.